Time to buy your tickets for HCHS's annual cultural extravaganza-fundraiser, organized by the Korean American Parents Association. This year's Korean Cultural Banquet and festival will be held on Sat., Nov. 14, from 6-9 pm in Flushing. Bring the family for a fun-filled evening of food, games and activities with proceeds to benefit HCHS. This year, the event will be held at the Promise Church at 130-30 31st Ave., in Flushing. Tickets are $50 for Adults, $40 for Students/Siblings $40, and $50 to Treat-a-Teacher. 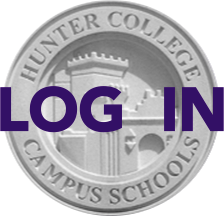 It's a 'don't miss' Hunter school event! Activities will include Korean calligraphy; Tuho, a traditional game; Korean sushi preparation; traditional Korean doll making; and Yut Nori, a traditional board game. There will also be traditional and Korean pop music and dance, a raffle, and a demonstration of a traditional Korean wedding. Click here to go to the Fall Banquet 2015 home page. Then click on the Ticket option to make your purchase. Bus service will be available to and from school to the event; stay tuned for details. Send your questions to fallbanquet@hunterpta.org.